Again some dried flowers I picked last november in India. 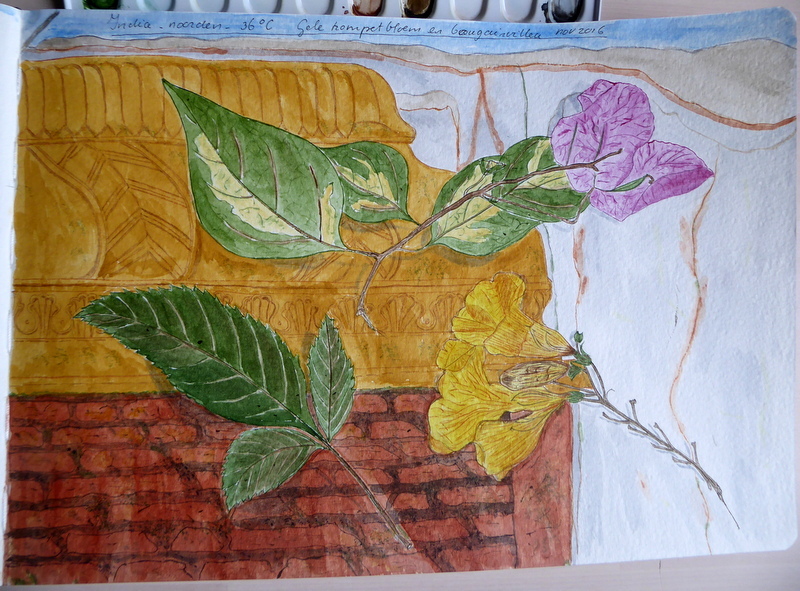 I added some landscape to the flowers, in order to give it that busy, colourful India. (I am not convinced of my landscape abilities, however…). My colourpalette for these: yellow ochre/burned umber for the upper part of the wall, burned sienna/neutral gray/browns and some olive for the rest. The campsis/trumpetflower or trompetbloem with translucent brown/goldbrown/vandijckearth/burned umber and Chinese iridon violet/mangan violet for the dried bougainvillea.